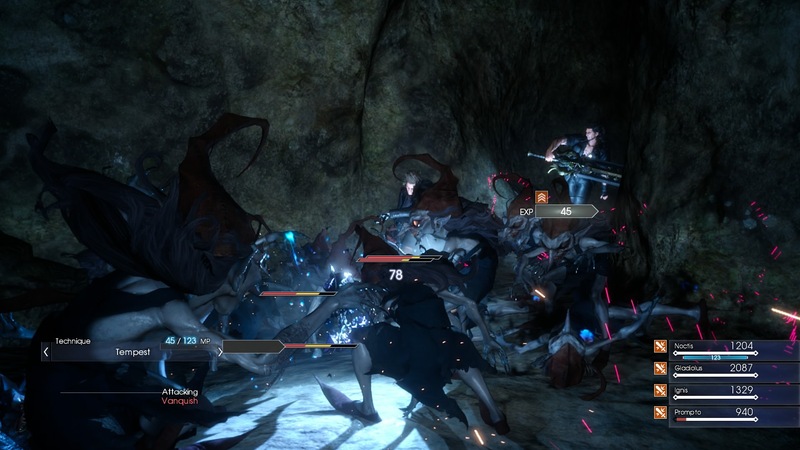 After nearly nine years, the game formerly known as Final Fantasy Versus XIII is finally playable in some way, shape or form for the common public. Final Fantasy Type-0 HD released last week, the first run of releases coming packed with Final Fantasy XV‘s demo, Episode Duscae. Episode Duscae takes place in the appropriately named Duscae Region, where your team’s car has broken down and needs fixing. 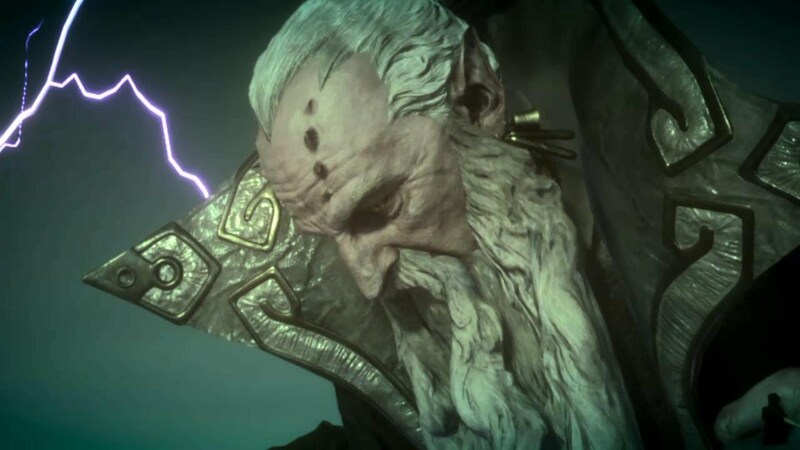 Repair costs run 24,000 gil and as luck would have it, there’s a local bounty for a Behemoth that wanders the region, rewarding the slayer(s) with a hefty 25,000 gil. Convenient, right? Now all you need to do is figure out how to fell the massive, powerful beast. Combat takes some getting used to, but once I had 15 minutes or so I felt right at home swapping between abilities to match the situation I was in. Noctis‘ ability to warp instantly to a locked on target is incredibly helpful, and pivotal in maintaining the advantage in many a scuffle. Similar to Final Fantasy XIII you only control one party member (Noctis, in this case), but unlike XIII it’s not an automatic Game Over if you go down while everyone else is still fighting. When your HP reaches zero a second health bar appears. It has no numbers, but goes down rapidly the more you’re hit. During this time any of your allies can come over, pat you on the back, and get you back up on your feet, and you can do the same for them if they go down. Alternatively, you can also use a Potion on yourself at 0 HP to get up. Handy, that. All things considered, the fighting feels like a smooth blend of recent Final Fantasy with Kingdom Hearts, and it works really well for the most part. It’s not perfect, as there are times (like when taking on the Behemoth) where you may need to warp onto a building or tower or something to avoid enemy attacks or lure them away from your allies, and the lock-on seems pretty flimsy and unreliable at these moments. Adding to that, locking onto standard enemies in battle can often be frustrating, especially when dealing with speedy canines or the like. If you don’t lock on, you’ll just swing wildly at the air in front of you. If you do lock on, the beast will run and run and run and make your camera point every which way but forward. Most of the time the camera is fine (again similar to Kingdom Hearts, but greatly improved), but it could use some work in battle. While the lack of classic magic spells such as Fire or Blizzard is disappointing, the awesome display of a select summon MORE than made up for it. I won’t spoil who the summon is, but you can click here if you’d like to see. It is truly a spectacle to behold, and makes me salivate just thinking about what other standard summons may look like when the full game releases. I legitimately got shivers and tingles all over when I first called it forth. However in order to obtain the summon, you must first make your way through a cave and touch the crystal within. This proved to be pretty frustrating for me, merely due to a glitch. I fought my way through the enemies and made it to the end, and a prompt briefly flashed for me to press A. I pressed A, but nothing happened. So I pressed it again. I moved around, left the room, searched for hidden items, came back, and pressed A once more. Nothing. The prompt was gone, and nothing was working. Slicing, dicing, crouching, jumping, pausing, all useless. I finally opted to save and quit, and upon restarting and making my way back through, the prompt showed up and it worked on the first try. It was just disappointing that I wasted half an hour trying to figure out what to do now, when it was simply a hiccup that I happened to experience. Hopefully Square Enix is treating the demo as kind of a beta test, to become aware of such issues and nip them in the bud before the proper release. One thing I’ve got absolutely no problem with is the new take on the Chocobo Theme. What has typically been a fast-paced, exciting, and hyperactive tune in the past is slowed right down in Episode Duscae, featuring the twings and twangs of bluegrass. It’s generally not my first choice of music genre, but it works so well with the Chocobo Theme that there’s no way I can dislike it. It soothes and relaxes, and I want to put the track on a Sleepy Time mix tape. 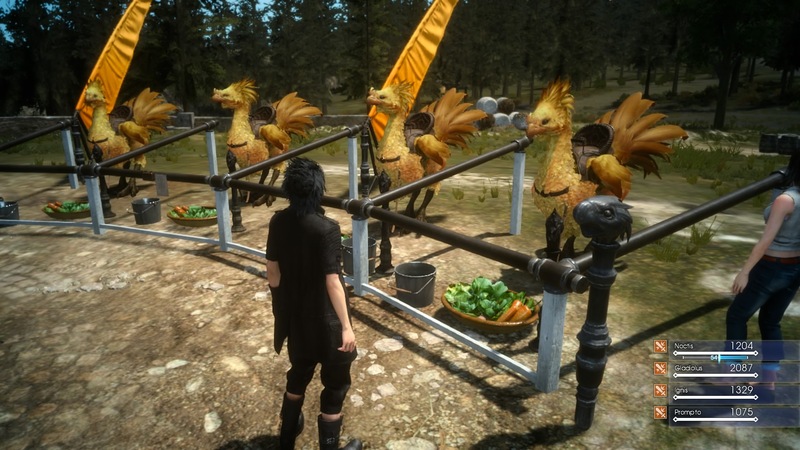 Sadly you’re unable to actually ride the faithful feathered friends in the demo, but you can still admire their majesty at the ranch, one of the two outposts. The other outpost is the car shop, where the buxom blond we’ve seen in screencaps is working on putting our car back together by posing next to it and nearly popping out of her top. Don’t get me wrong, I’ve got no problem with the occasional fan service, but Cindy‘s look (yes, it is confirmed in the demo that she is not, in fact, the first female Cid, or Cidney) just puts me off. If she wants to walk around in a halter top and short shorts during her free time, all good. More power to her. However I find it hard to believe that she’d be dressed in such a way while getting under the hood of a car. It seems a tad inappropriate and unnecessary in my eyes. There are two points in particular that I loved the most about Episode Duscae. First is the summon, which you really just need to experience for yourself. Seriously, it’s too awesome. The second is that I get the impression this is the Final Fantasy Square has wanted to make since long before they joined with Enix. I picture the awe-inspiring Behemoth here as what the early game designers pictured in their heads when making those games. The Goblins you face look so incredibly like the models from the original Final Fantasy, brought more to life the way they were always meant to be. It’s not just the monsters, either. The entire region is immaculately detailed, and so beautiful to look at. It’s nice to just wander around and take in the sights. 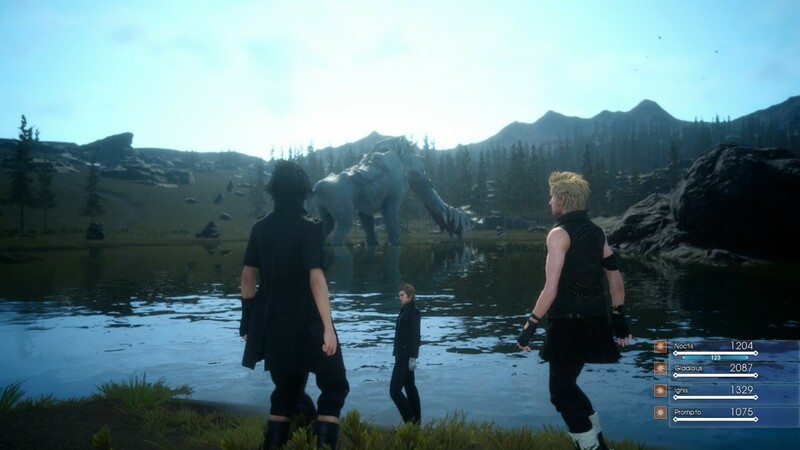 More than anything, based on Episode Duscae I feel like Final Fantasy XV will be a love letter to the entire series. The demo feels classic and modern, faithful and groundbreaking, old and new, all at the same time. I am simultaneously happy to finally have a piece of that world in my grasp, and also so worried that I won’t have to full package for another two or three years. They’ve given us the appetizer – now they need to give us the main course before the taste fades and get hungry for something else. You’ve impressed me so far, Square Enix. Bring it home. In the mean time I’ll continue trucking down the road to the full game. Final Fantasy Type-0 HD is currently available for PlayStation 4 and Xbox One. 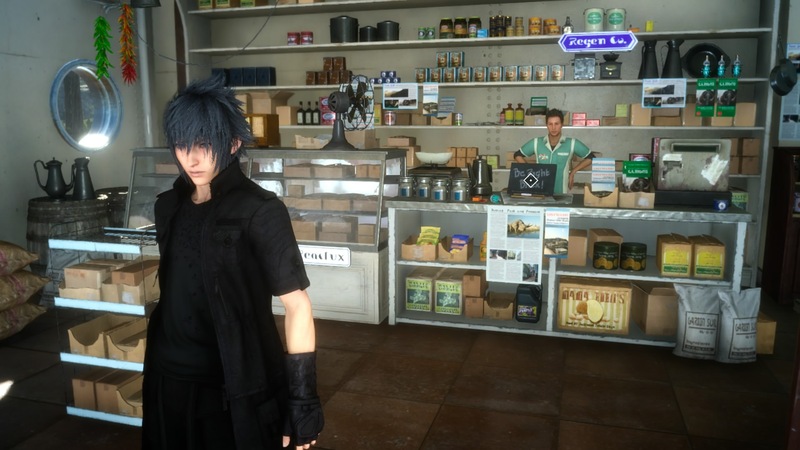 If you’re lucky, you may still be able to snag a first-run copy, and with it Final Fantasy XV: Episode Duscae. An Xbox One code of Episode Duscae was provided to Save/Continue by the publisher for preview purposes.